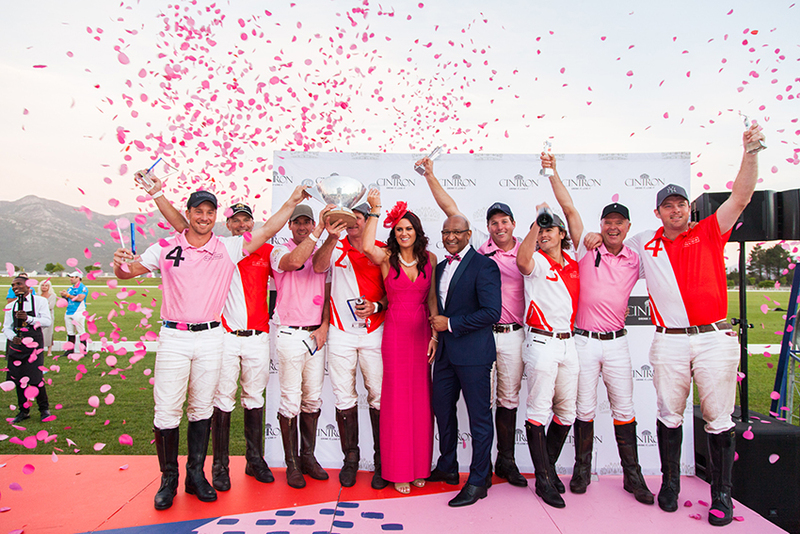 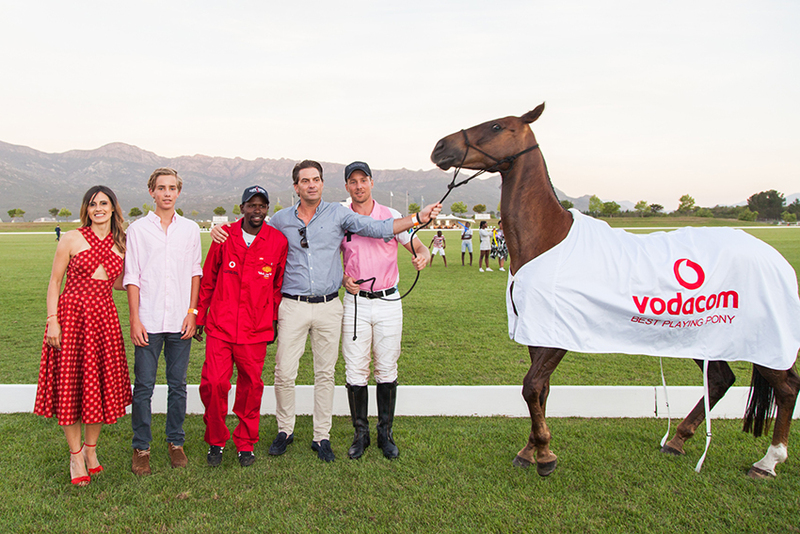 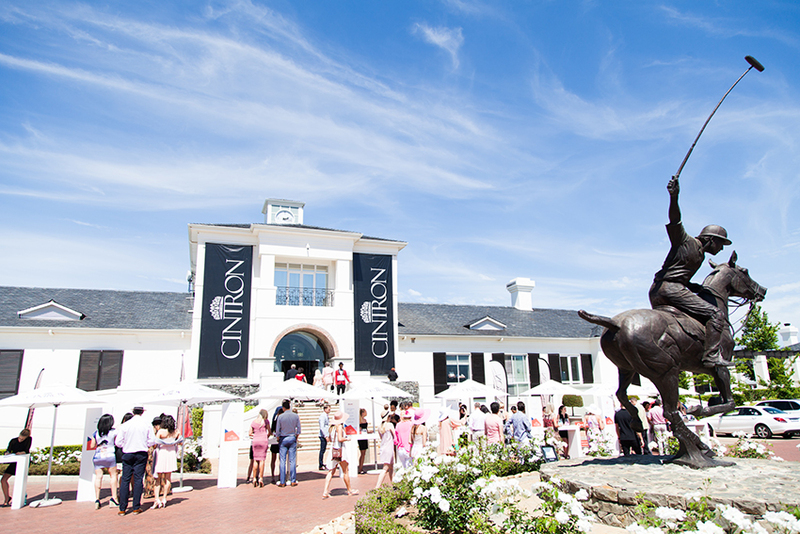 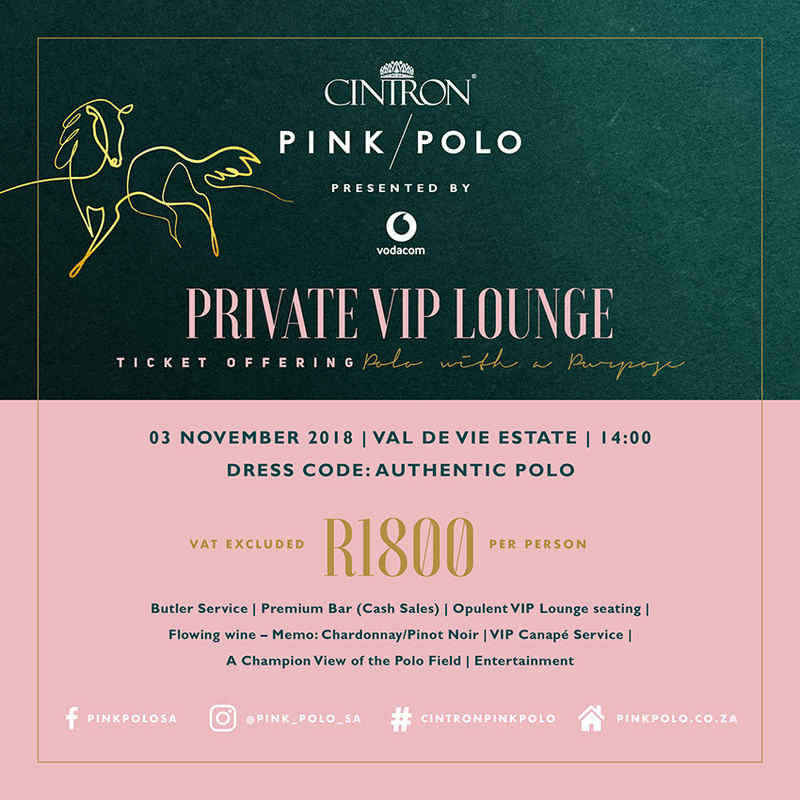 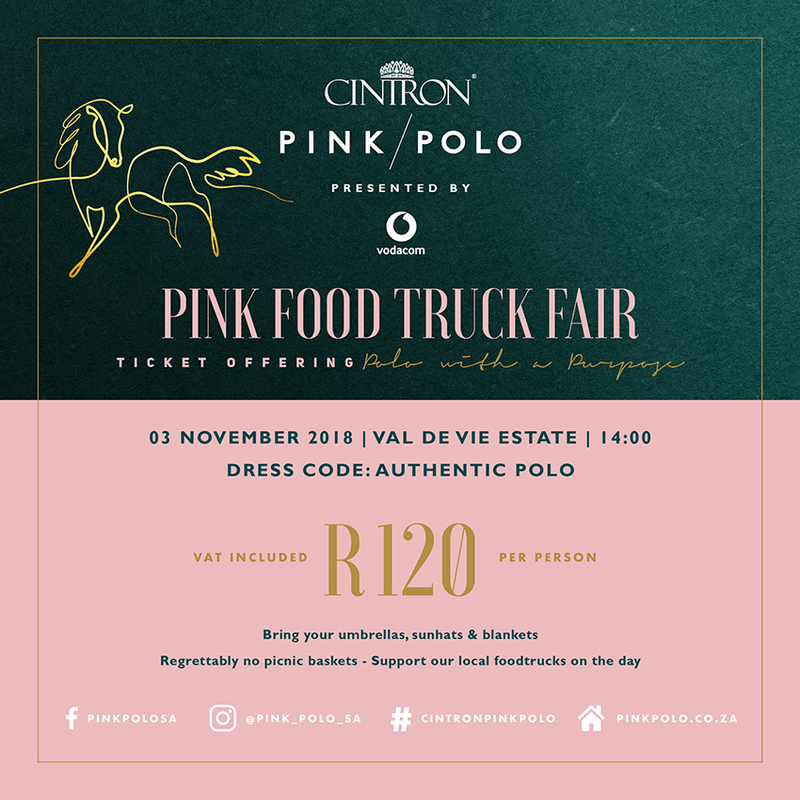 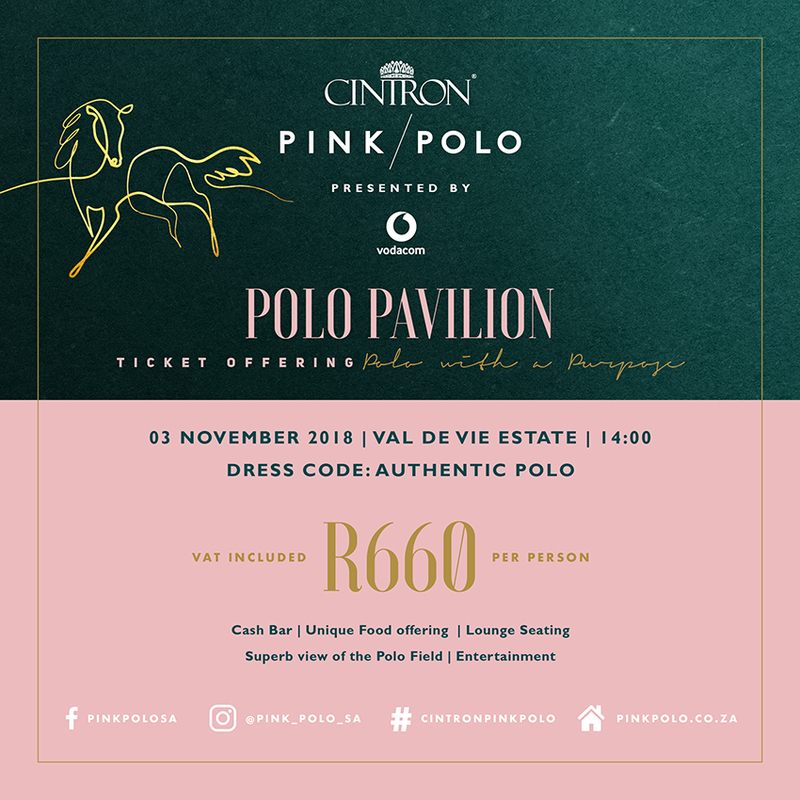 Cintron Pink Polo, presented by Vodacom, has secured several first-time announcements for guests to look forward to on Saturday 3 November 2018, when the 9th instalment of the event returns to the pristine Val de Vie Estate. 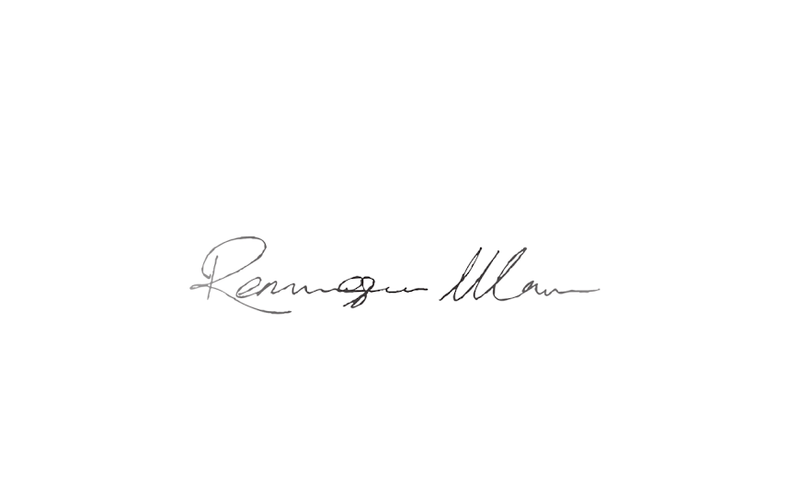 Elrico Zarr Bellingan, acclaimed fashion designer for the ElricoZarr label, is the selected Fashion Partner that will be setting the tone and trend for a spectacular display of his creations. 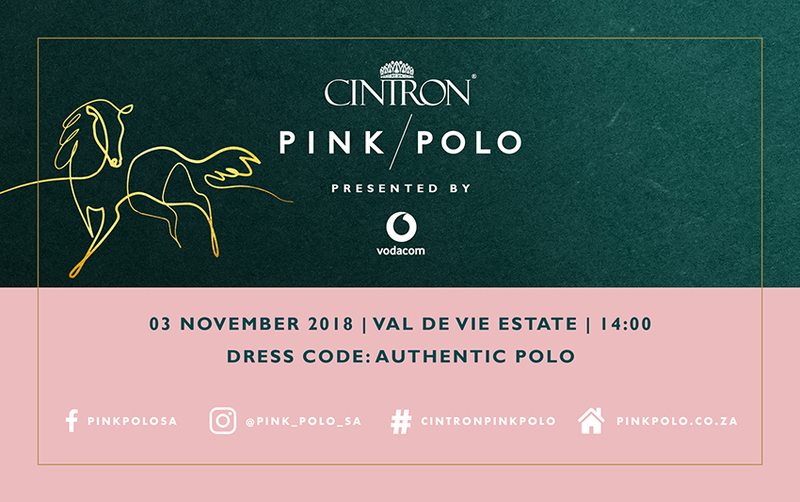 A special surprise awaits guests, as this fashion show will be a first and incorporate new ways of showcasing the finest in South Africa couture. 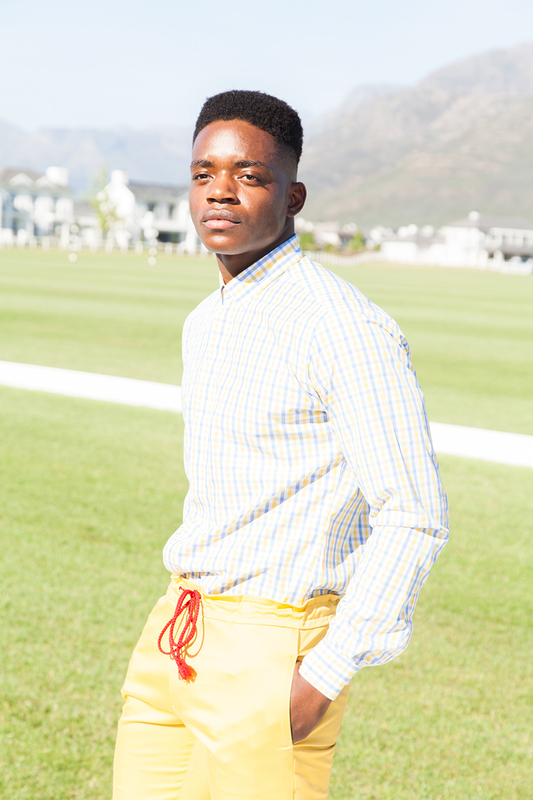 “Dressing for polo should be elegant and understated. 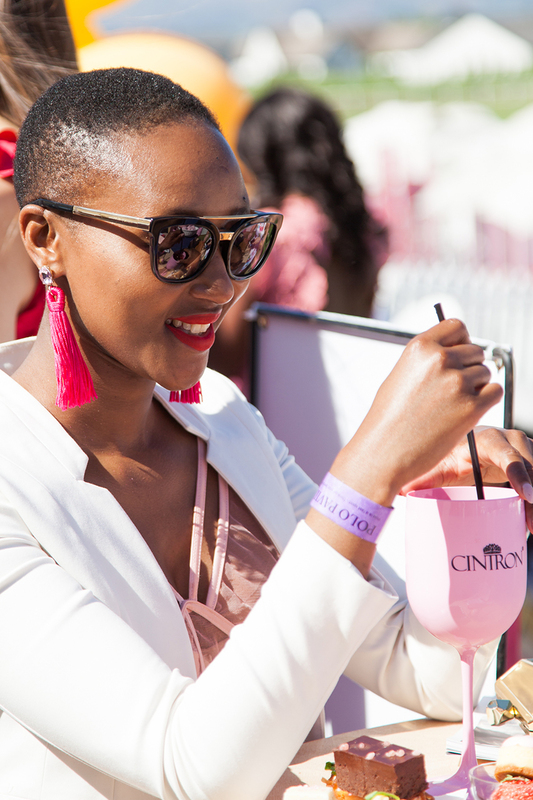 Fascinators, skin tight dresses, revealing tops and high heel shoes are out. 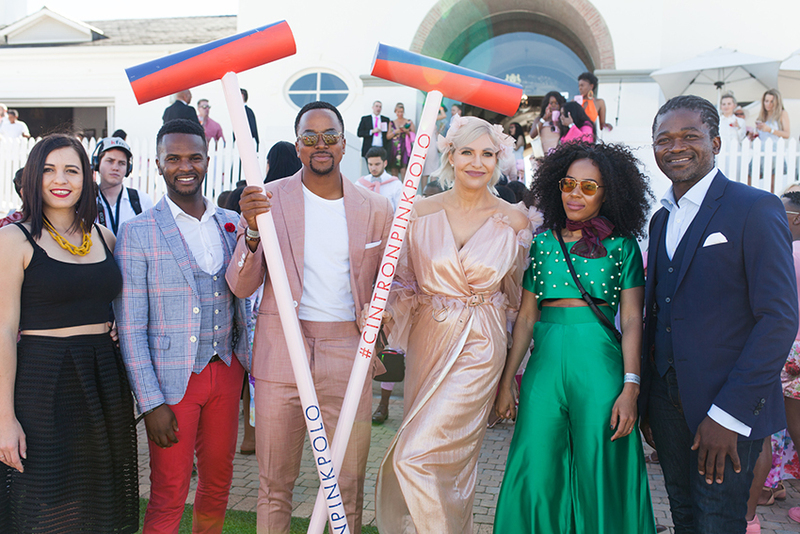 Think espadrilles, flowing jumpsuits and long summer dresses,” remarked Elrico. 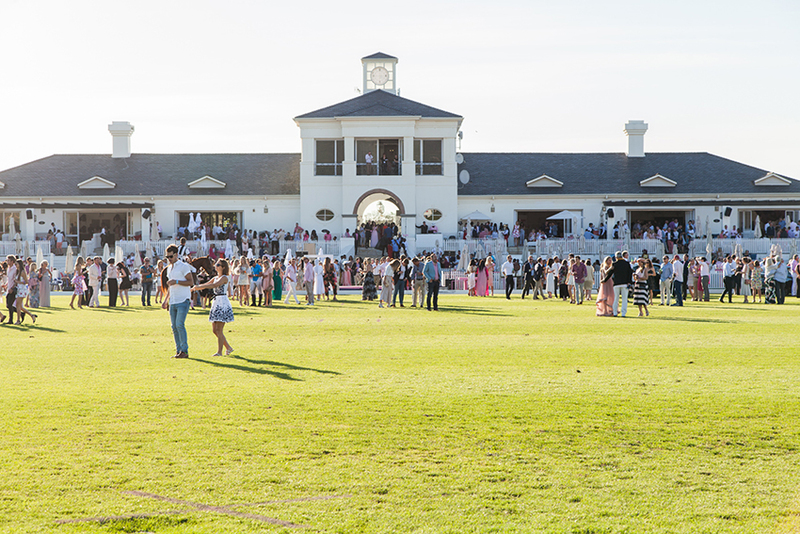 Additional first-time announcements include Land Rover Stellenbosch and Land Rover Cape Town official Vehicle Partners, presenting a dedicated Land Rover area where owners of these distinguished vehicles will have the opportunity to enjoy the age-old tradition of watching heart-stopping polo from the back of a luxury car. 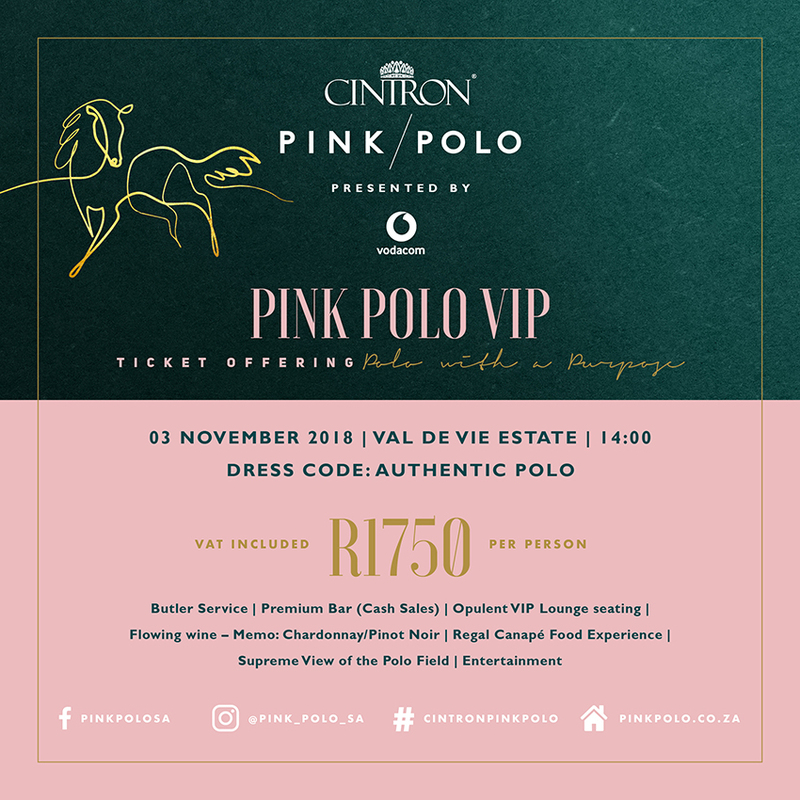 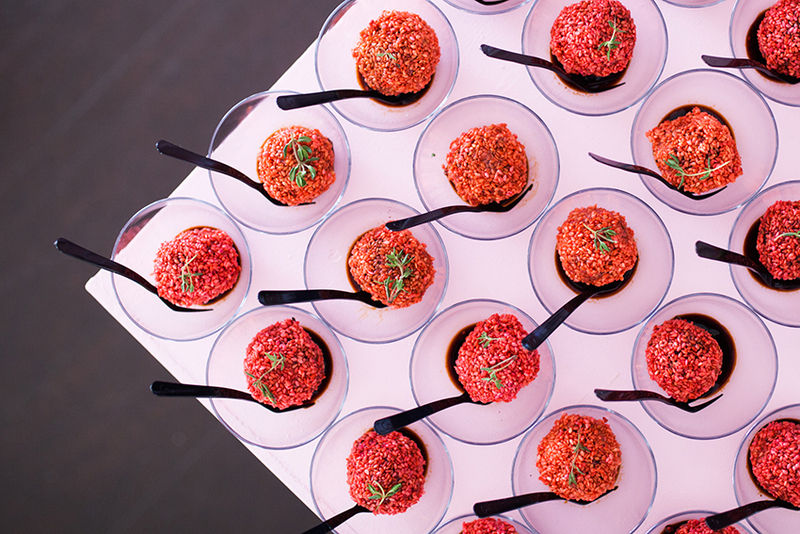 RGBC (The Really Great Brand Company) will be engaging as Pouring Partner for the event and will be creating signature cocktails with a selection of Cintron premium drinks. 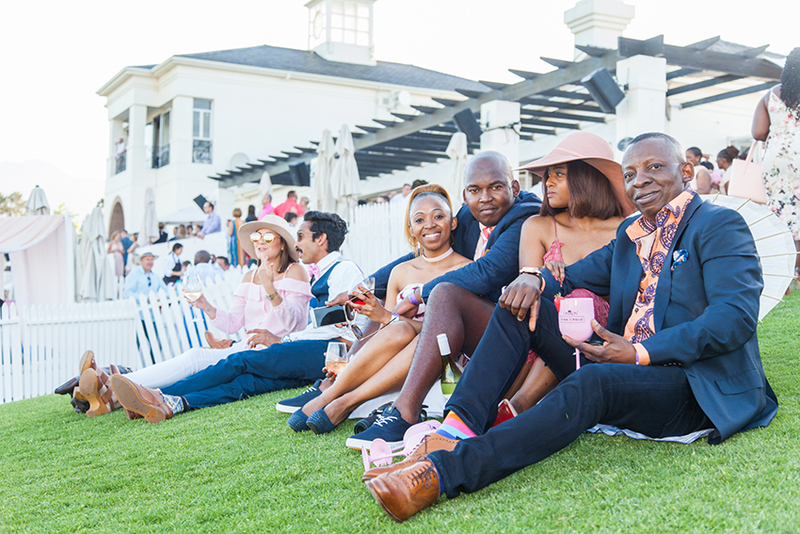 The Mantis Collection is on board as official Hospitality Partner and will be offering guests attending the event an exclusive rate of only R3800 per night per person sharing in the Pearl Valley Hotel by Mantis (email: pearlvalleyhotel@mantiscollection.com). 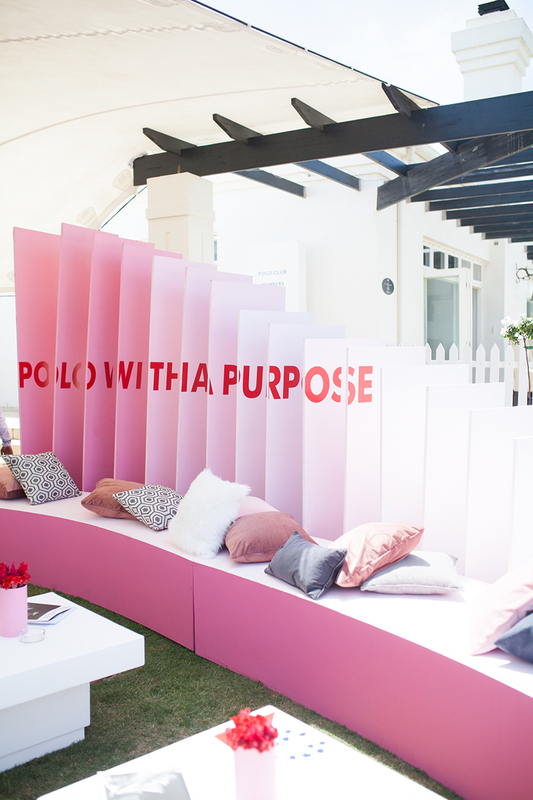 Bril Optometrists will be the official Eyewear Partner and Coco-Mat will provide bespoke miniature pillows to guests diagnosed with breast cancer as Supplier Partner. 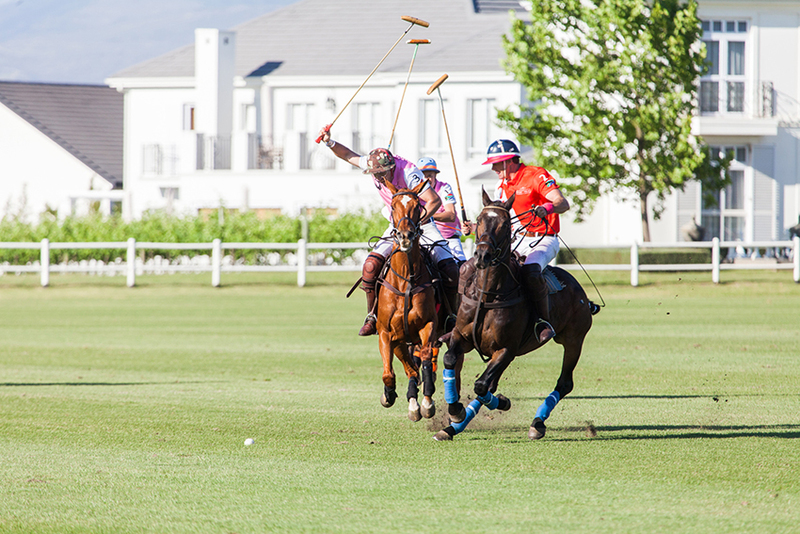 Well-regarded as ‘The Sport of Kings’, polo has over centuries been honoured by royalty, aristocrats and captains of industry. 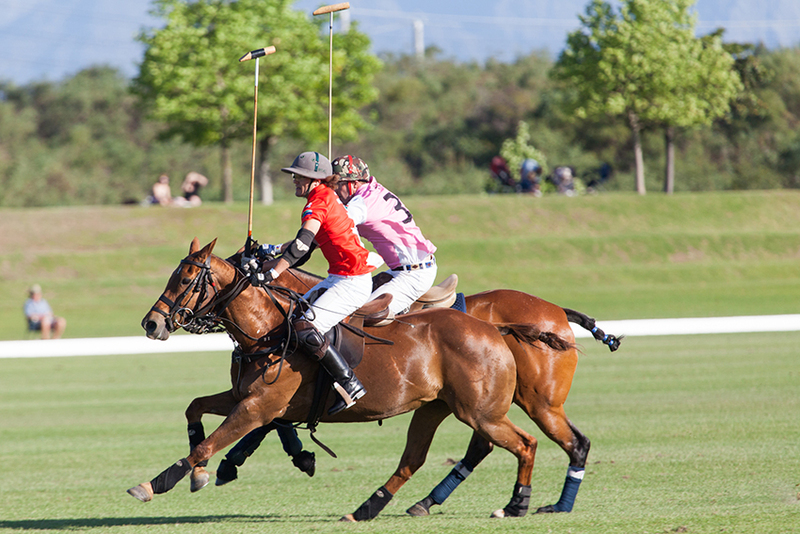 The origins of the sport are interlaced in the relationship between (wo)man and horse and is one of the oldest team sports in history. 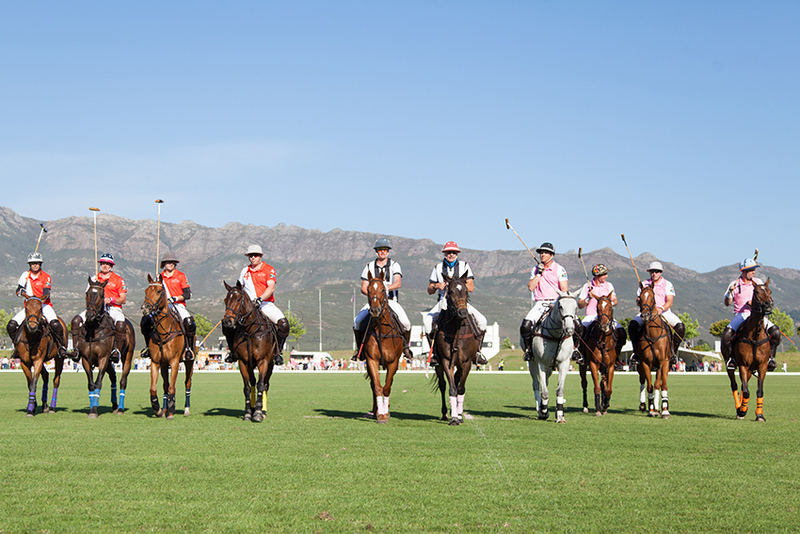 Themed ‘Authentic Polo’, the 2018 colour scheme is emerald green, pink and touches of gold that incorporate the regal association of the sport as a luxury pastime.